The objective of this study was to explore Laws’ masks analysis to describe structural variations of trabecular bone due to osteoporosis on high-resolution digital radiographs and to check its dependence on the spatial resolution. Laws’ masks are well established as one of the best methods for texture analysis in image processing and are used in various applications, but not in bone tissue characterisation. This method is based on masks that aim to filter the images. From each mask, five classical statistical parameters can be calculated. The study was performed on 182 healthy postmenopausal women with no fractures and 114 age-matched women with fractures [26 hip fractures (HFs), 29 vertebrae fractures (VFs), 29 wrist fractures (WFs) and 30 other fractures (OFs)]. For all subjects radiographs were obtained of the calcaneus with a new high-resolution X-ray device with direct digitisation (BMA, D3A, France). The lumbar spine, femoral neck, and total hip bone mineral density (BMD) were assessed by dual-energy X-ray absorptiometry. In terms of reproducibility, the best results were obtained with the TRE5E5 mask, especially for three parameters: “mean”, “standard deviation” and “entropy” with, respectively, in vivo mid-term root mean square average coefficient of variation (RMSCV)% = 1.79, 4.24 and 2.05. The “mean” and “entropy” parameters had a better reproducibility but “standard deviation” showed a better discriminant power. Thus, for univariate analysis, the difference between subjects with fractures and controls was significant (P < 10−3) and significant for each fracture group independently (P < 10−4 for HF, P = 0.025 for VF and P < 10−3 for OF). After multivariate analysis with adjustment for age and total hip BMD, the difference concerning the “standard deviation” parameter remained statistically significant between the control group and the HF and VF groups (P < 5 × 10−5, and P = 0.04, respectively). No significant correlation between these Laws’ masks parameters and BMD was obtained. In addition, this study showed the dependence of Laws’ masks parameters on image resolution, which confirms the necessity to perform Laws’ textural measurement on high-resolution images. 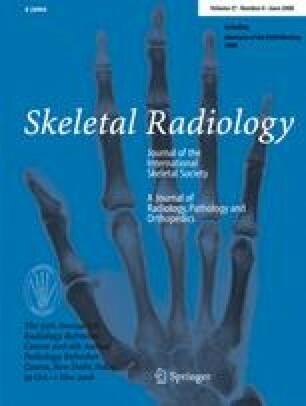 The reproducibility and discriminant power of the Laws’ masks analysis has been demonstrated on bone images; thus, this method constitutes a promising routine technique for the determination of osteoporosis fracture risk from radiographs. This study was made possible by grants from the French Clinical Research Hospital Programme (PHRC 2004/15), and Milieux Poreux, Modèles, Images (MIPOMODIM) (project ANR-R06009NG).